Home Staging has become the industry standard when it comes to selling your home. There are so many homes for potential buyers to choose from, so making your home stand out in the market is critical. 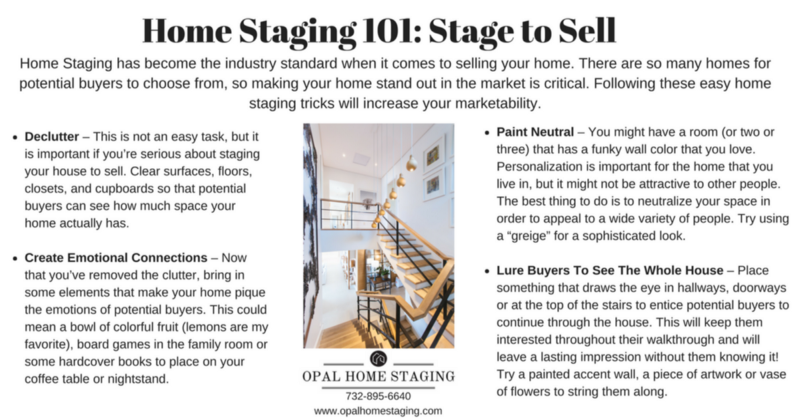 Following these easy home staging tricks will increase your marketability. 1. Declutter — This is not an easy task, but it is important if you’re serious about staging your house to sell. Clear surfaces, floors, closets and cupboards so that potential buyers can see home much space your home actually has. 2. Create Emotional Connection Points — Now that you’ve removed the clutter, bring in some elements that make your home pique the emotions of potential buyers. This could mean a bowl of colorful fruit (lemons are my favorite), board games in the family room or some hardcover books to place on your coffee table or nightstand. 3. Paint Neutral — You might have a room (or two or three) that has a funky wall color that you love. Personalization is important for the home that you live in, but it might not be attractive to other people. The best thing to do is to neutralize your space in order to appeal to a wide variety of people. Try using a “greige” on the walls for a sophisticated look. 4. 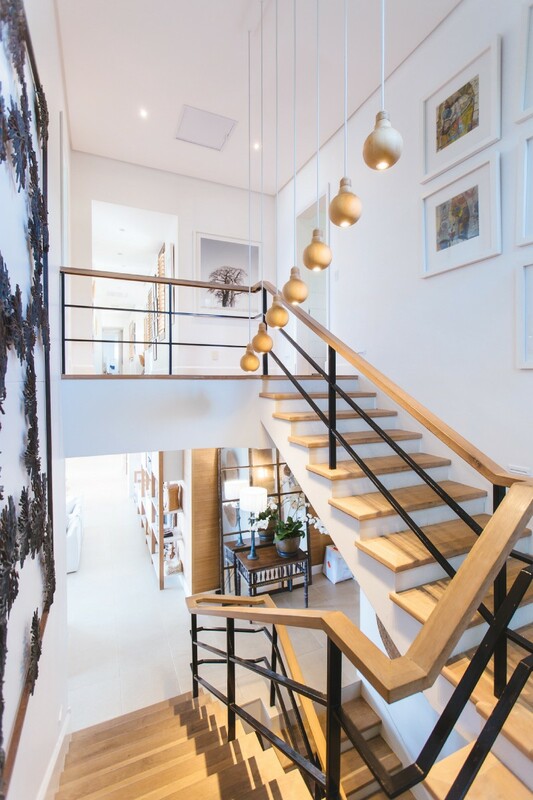 Lure Buyers To See The Whole House — Place something that draws the eye in hallways, doorways or at the top of the stairs to entice potential buyers to continue through the house. This will keep them interested throughout their walkthrough and will leave a lasting impression without them knowing it! Try a painted accent wall, a piece of artwork or vase of flowers to string them along.